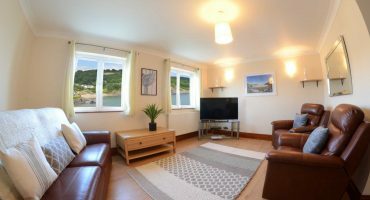 Aberporth – A warm friendly welcome awaits you. The former fishing village of Aberporth boasts blue flag status for its two beautiful sandy beaches. Small beach (Dolwen Beach) located on the left hand side of the village, is a dog free beach from May 1st to September 31st. 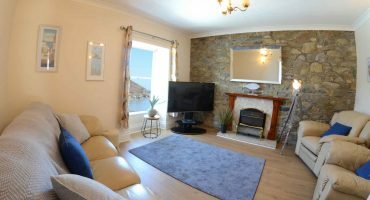 The big beach (Dyffryn Beach) located on the right hand side of the village or the one our cottages looks over, is dog friendly throughout the year. You can access big beach by following the steps that run down alongside the cottages all the way down to the stream. Bottlenose dolphins, porpoises, seals and even whales have been spotted out in the bay. In season the local Fisherman sells fresh lobster, crab and fish on the beach. At low tide a spot of rock pooling/ crabbing is a must, during the summer months spider crabs fill the pools. During summer season the beaches are bustling with tourists, boats and water activities. Kayaks and equipment hire is available over at Waters Edge Café looking over Dolwen Beach. Just down a few steps from our cottages, the ‘Cwtch Glanmordy’ is located. 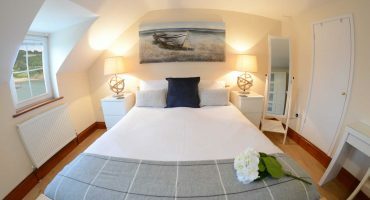 The Cwtch is situated in the pretty beach huts and log cabin overlooking the beach. It’s a seasonal café, which serves up delicious homemade cakes, light snacks, pizzas to take away, hot drinks and of course ice-cream! Sit back, relax and enjoy the stunning seaside views. Keep an eye out for their yummy pizza and cocktail events advertised on their Facebook page. 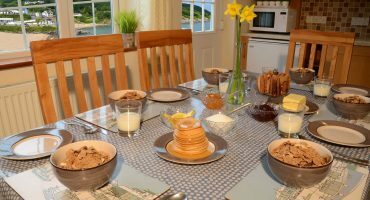 The award winning Ceredigion Coastal Path is located just a few minutes’ walk from Glanmordy Cottages. The section of Coastal Path that Aberporth joins onto is tarmacked for about 0.75miles, so is wheel chair and pushchair friendly. If you continue a little further along the coastal path, about half a mile or so, the path drops down into Tresaith. The small village of Tresaith is another beautiful sandy blue flag beach. Again, bustling with tourists, boats and water activities in season. Tresaith has a café and a Brains pub, The Ship. Ideal for that sunset over the sea during summer months.